Editor’s Note: Don’t miss this fun family event Labor Day Weekend. Why you should go: Eat a corn dog, sample the free cheese, take in a tractor pull, watch a parade, listen to some music, visit an Amish farm shop, shop the sales in town. There is a special Kids Zone dedicated just to the little ones, with pony rides, inflatables, clowns, games and activities. The famous cheese games include special divisions for just the kids, and other cheese games are perfect for including the whole family! The parade is typically at 3:45 p.m. on Saturday afternoon. Did you know that just a short 45-minute drive from Champaign-Urbana is the largest Amish settlement in Illinois? It’s true — Arthur is, in essence, a whole new world! The Arthur-area Amish settlement has around 4,500 members in roughly 25 square miles. My friends and I decided that there really is no time like the present to take a day to submerge our children (and ourselves) into another lifestyle and culture, especially one that’s so close to us. A simplified day in old Amish Country seemed quite appealing in the midst of the hustle and bustle of the busy life. However, none of us really expected such a fulfilling day filled with so much kindness and sense of community. A few weeks before a “free day” finally opened up in our calendars, I did a quick Google search of Arthur, which led me to ACM Tours. ACM offers all sorts of options for trips into the Amish world. 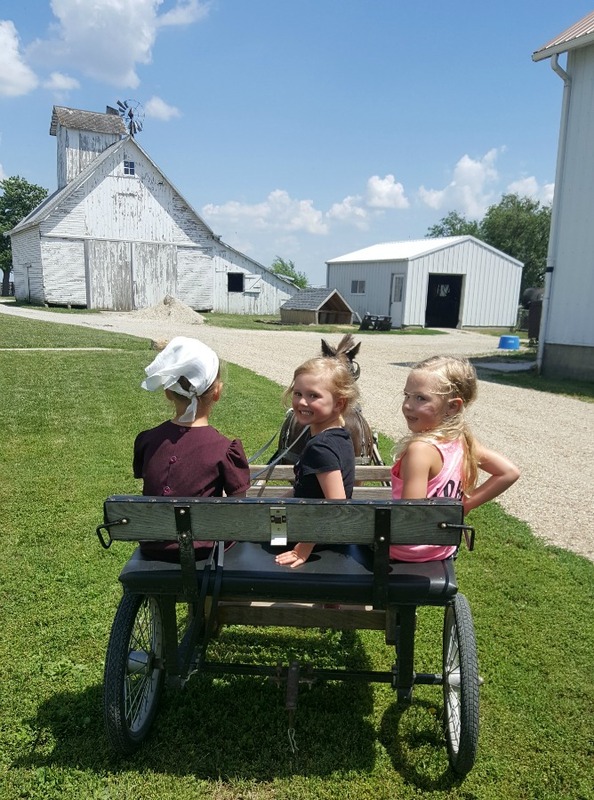 Some of their options include: step-on guided or self-guiding tours around Amish Country, tours inside and around Amish homes and farms, goat farm tours, shopping excursions and even meals in an Amish home. Joining our group was a family from Germany, a family from Australia, and two more groups from Wisconsin. The international groups were on separate Route 66 tours which included the sites of Amish Country. Marvin actually said the prayer in German (the Amish’s first language) to honor his German guests. Our meal consisted of all homemade foods: salad, baked chicken, meatballs, mashed potatoes and gravy, noodles, sweet corn, bread with apple butter and peanut butter spreads (for purchase, also), cherry, peach and coconut cream pies, and water and tea to drink. All of the items were passed around twice; I don’t think you can leave Marvin and Sarah’s home hungry! Our hosts were happy to answer questions that we all had about their way of living and their beliefs. Many of us had the same misconceptions of their people that we had seen portrayed on TV. Marvin was quick and kind to educate us about these things, like the incorrectly depicted Rumspringa and arranged marriages. “My wife and I arranged our own marriage,” he said with a laugh. They not only opened up their homes, but their hearts, telling us many stories of their lives and the lives of their friends and family. 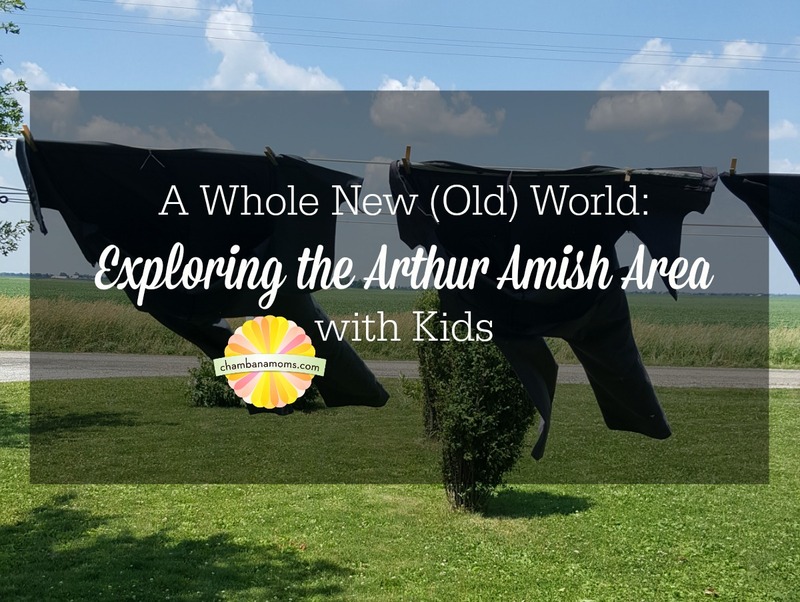 Did you know that Amish children only attend school until the eighth grade? One of the other English (that’s us) guests at the table had been visiting for more than six years. She said that the relationship that she had forged with Marvin and Sarah was precious, and we could see that as she spoke. On our way home, we decided to end our trip with another favorite pastime: shopping. Nestled between farms and workshops are countless stores full of handcrafted and homemade consumables of yesteryear. 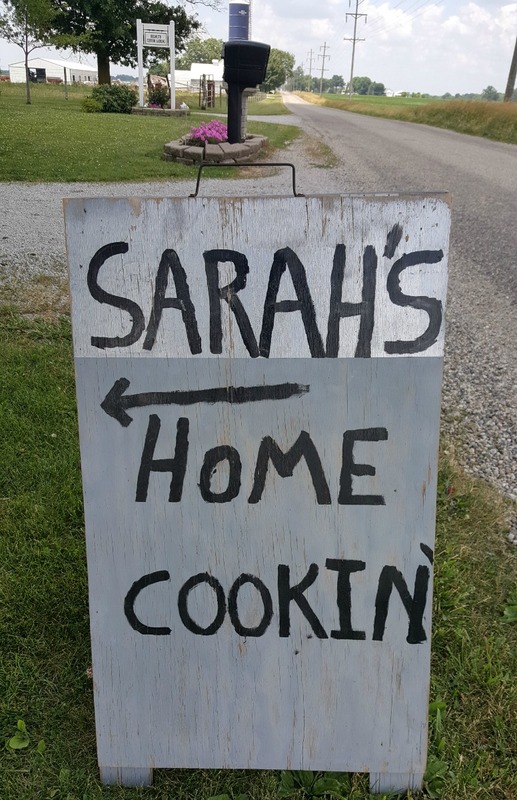 If you’ve never had authentic, Amish-made jams, butters, and baked good, you’ve been missing out. For you nutritional-label enthusiasts, you’re going to have to throw caution to the wind on some of these things. Just remember, this is a day of simplicity, so travel back in time when calorie counting didn’t exist. Our favorite store was Beachy’s Bulk Foods — you do not want to miss checking this store out. Other shopping in the area includes an old fashioned soda fountain, furniture, crafts, quilts, and more. On the way back to Champaign, you can even stop at the Outlets of Tuscola for a little more shopping. If you need a day without all of the distractions of our “English” modernized life, a day that will truly take you back to a simpler time and give you a breath of fresh air, make this trip … you won’t regret it! To contact Susan, you can e-mail her or call 217-543-2766. Becca is a native of Effingham and an ISU graduate. She and her hubby James have lived in Champaign for eight years. 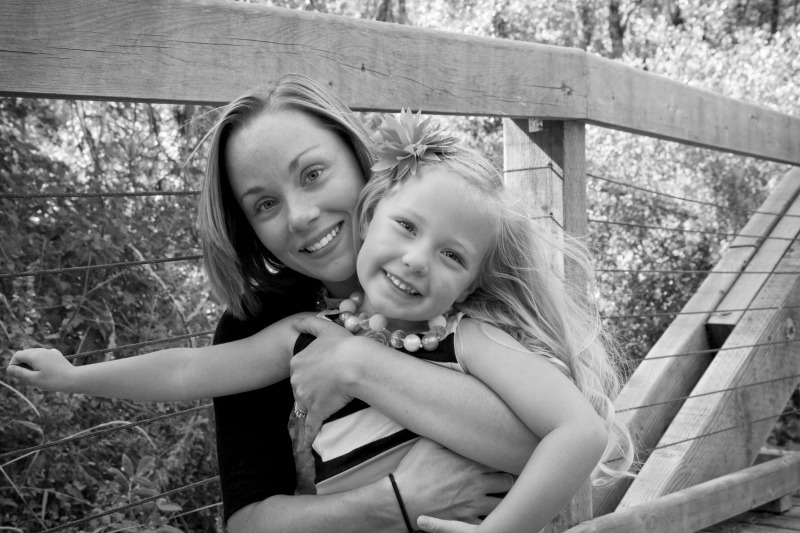 When their spunky little girl, Sydney, arrived almost five years ago, she decided to leave the world of marketing to “stay home” and show her the world. She and her family love Chambana and all that it and the surround areas have to offer.